What are you planning to do this Sunday afternooon? Nothing? A nap? We have the absolute plan! A poetry and musical event sounds fun right? 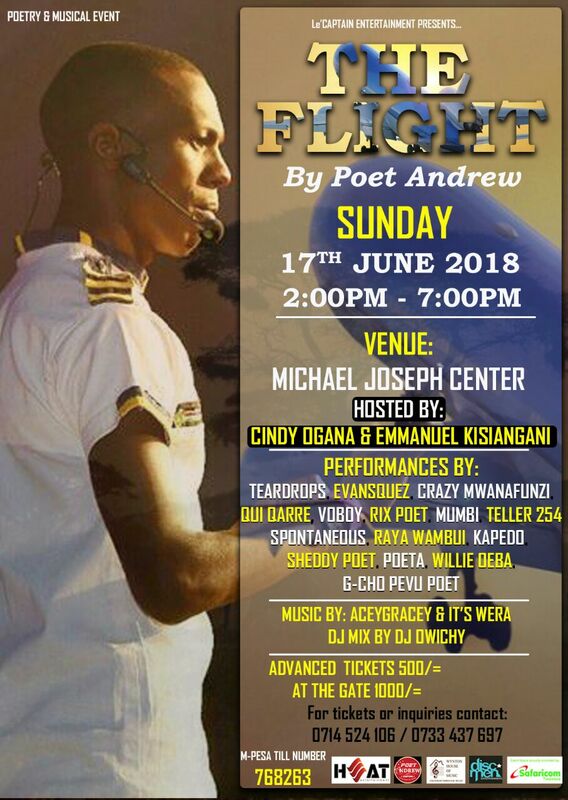 Poet Andrew an artist appearing on Churchill Show will be performing at Michael Joseph Center this Sunday at his event dubbed “The Flight” The show will see 15 poets perform at the poetry and musical event. 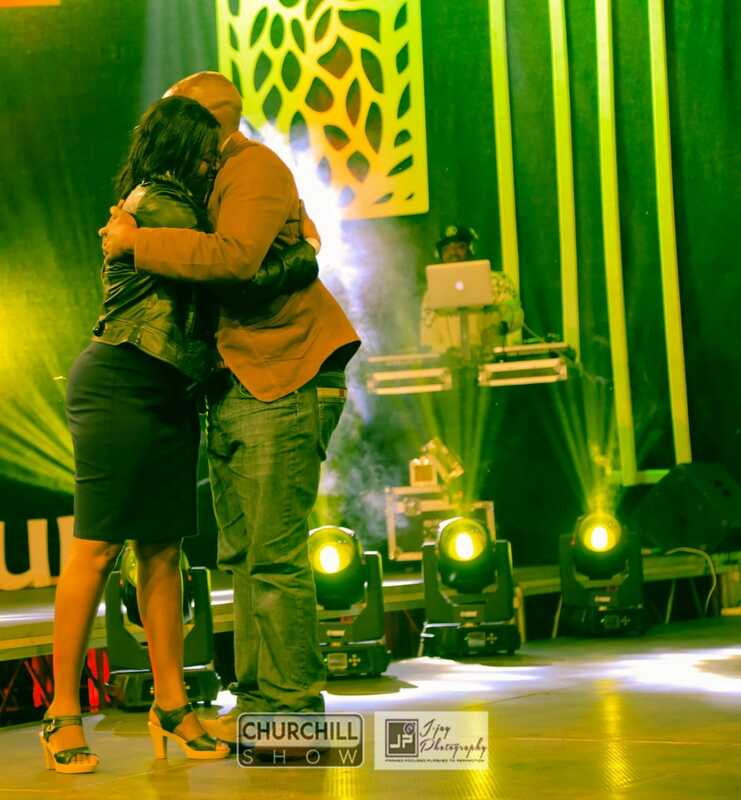 The show will be hosted by Comedian Emmanuel Kisiangani and Cindy Ogana, an emcee, radio host and poet. If you love saving your coins like we do, grab yourself the advance tickets. See you on Sunday for an afternoon full of poetry. #TEAM POET ANDREW THE CAPTION. Go for it dear,you’ve got my full support.Indeed you are the pilot in the flight ✈ ✈ of poetry….You never disappoint. #TEAM POET ANDREW THE CAPTAIN.